The immense challenges which face humankind at this time call for courageous visions of hope from the ecumenical movement. The religious context is also evolving, and religious identity has returned to the public sphere in various ways. While the 20th century was dominated by confrontations between ideologies, "identity" is emerging as one of the characteristic divisive features of the 21st century. All Christians are being challenged to look at their identity in the context of a new religious plurality. (*) Rev. Dr Samuel Kobia is an ordained minister in the Methodist Church in Kenya. 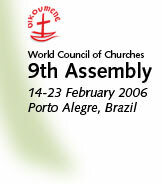 He became WCC general secretary in January 2004, having previously served the Council in various capacities since 1978, most recently as its special representative for Africa, and as director of its cluster on "issues and themes". 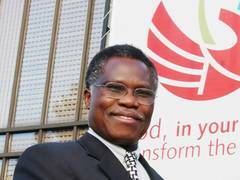 In 1984, he returned to Kenya to the National Council of Churches (NCCK), serving as its general secretary from 1987 to 1993.